When we arrived in Nicaragua, we came with a plan. Habakkuk 2:2 says: 'The Lord answered me, Write down what I show you. Write it clearly on a sign so that the message will be easy to read.' And we did write it down because the vision was so clear in our heads it was like watching it on video. We immediately went to work on the vocational training all the while waiting for the rest of the fulfillment of the vision. We did not doubt that it would come because we had a promise, "all that we would need was ready and waiting". However, six months went by and nothing of the other things in our plan were coming about. What we were experiencing however, was boys and young men coming to our door. We did not seek this out, but if they were showing up, it must be from God. And for years they have been coming. Some come for a day, some for a meal, some for months. All the while, we kept saying 'this isn't what we came to do'. Mentoring and parenting young men in our house was not part of "our plan". 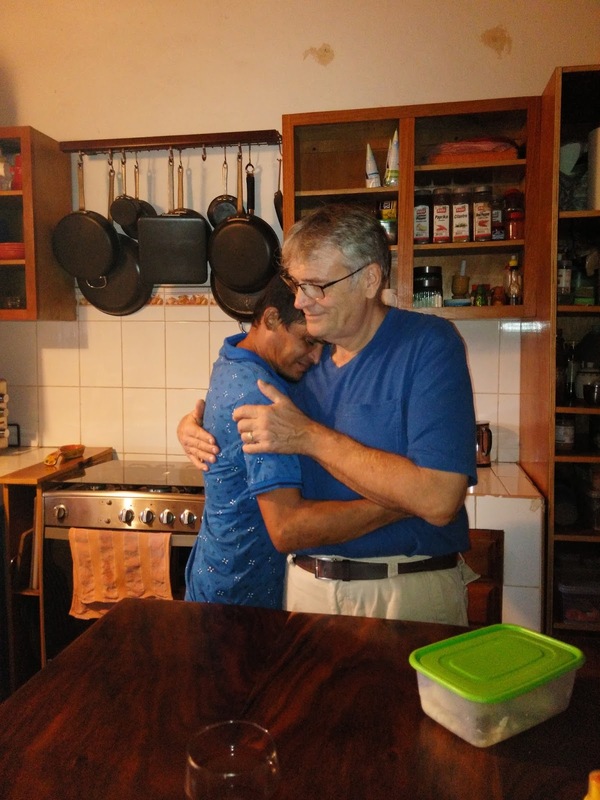 But, how do you turn away a hungry child, an orphan, a rejected young man or an addict? Matthew 25:40 'The King will say anything you did for the least of my brothers, you did it for me'. That scripture always stayed with us whenever we were feeling like maybe we were missing the mark of THE plan. We have gone back to review the written plan a lot lately and we have discovered that we are not far off of our plan. We are doing the vocational, we are providing education, we are discipling, we are changing their lives in ways we never dreamed about doing. No, we don't have the land that we dreamt of buying, or the large facility built with which to do the work in and be able to sleep those that need a place to rest. We don't have it all YET, but we know that one day we will. Six months or six years of waiting is not a long time to the LORD. In the mean time, we will continue to work at what God has placed right in front of us. We believe that in His time, He will weave what we are doing now with the original vision He gave us. It will all come together in a way we would never have imagined and it will be perfect.